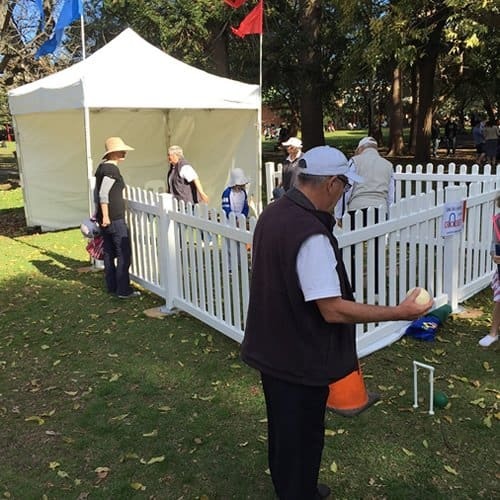 Our 3m x 3m white shelter is suitable for use at any party or occasion including backyard 21sts, family events, sports days or barbecues. 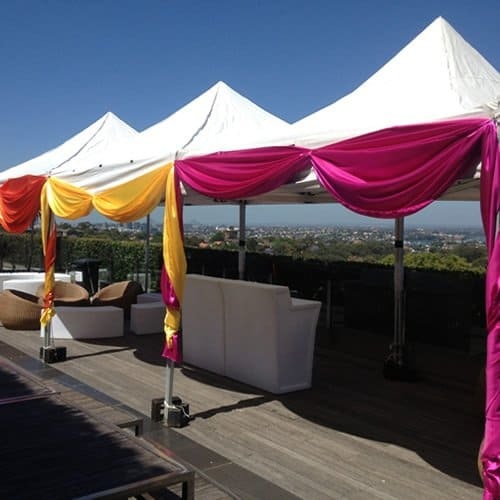 It is an easy and cost-effective way to protect your guests from light rain or the sun. They also come with detachable walls available for hire at $10 each. They fit around 10 people comfortably and are incredibly easy to set-up. We use either weights or pegs depending on the location and use. Note that they are not suitable for areas of high wind. Please talk to one of our friendly consultants for more information. When should I use a shelter and not a marquee? Shelters are light weight and easy to erect, but they are only for short term use and not in periods of storms or high winds. If your event is for a few hours on a single day and the weather is forecast to be stable and light winds then the shelter maybe the best choice. However you should also consider the number of people you wish to accommodate. 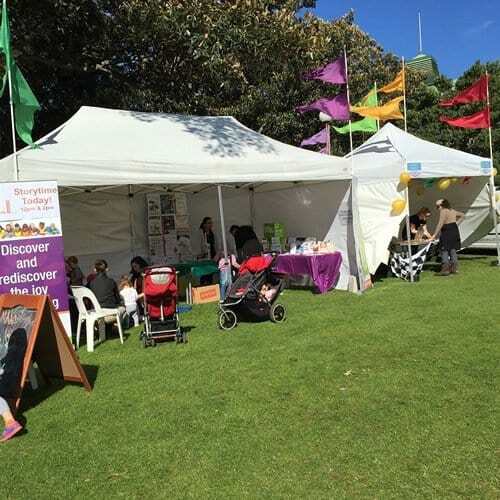 Shelters should only be used for small groups of people in modest events. Because of the type of construction, the span of the shelter is limited, it is very difficult to create a shelter big enough for more than 20 people. The roof height is also very low and cluttered with cross bracing which doesn’t allow for good lighting and decorating. For important events where you want to ensure the comfort of your guest and create a fantastic ambiance than a marquee is more advisable. 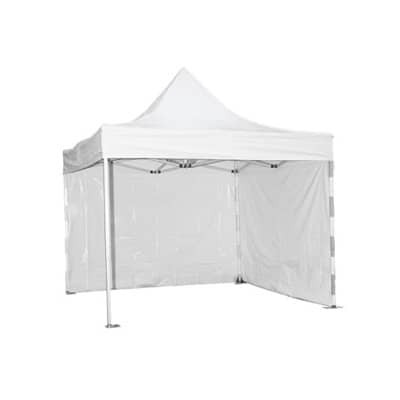 Shelters are a step up from umbrellas but not as good as marquees, they are good at keeping the sun off on hot days and light rain on inclement days, and are best used for picnics and festivals. They are also good for backyard events where you have limited space but need a small area for sitting or a bar.